Ngliyep is a rocky beach at the southern part of Malang, where gigantic waves meet coral reefs. In addition, it has an isle with a lush green tropical forest giving more enchantment to the beach. This beach is provided with some facilities such as: stalls, souvenir shops, inns, etc. 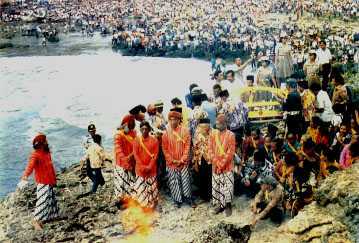 Annually, the ritual ceremony " LABUHAN MULUDAN" (offering ceremony) is held. here. 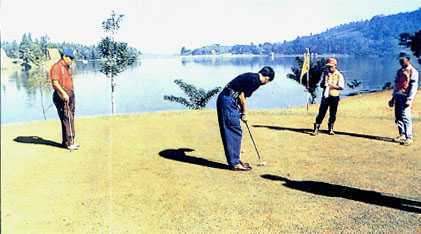 It lies at Kedungsalam village, belonging to Donomulyo Sub District, 62 kms to the south from Malang. Artificial lake (dam) for irrigation, and electrification that is also used as a recreation centre. In this place, the visitors can get memorable and peaceful impression, fishing, boating skiing or just enjoying the beautiful panorama around the lake. The access is reachable, 43 kms away to the west from Malang.